Awesome central location. Updated inside & out, top to bottom. This recently rain screened building, with warranty is just like new! Enjoy the spacious layout of this 576sqft 1 bed/1bath + den unit with excellent closet space, lots of in-suite storage, in-suite laundry, gas fireplace & more. Upgrades include: laminate flooring throughout, stainless apps, crown molding & paint. 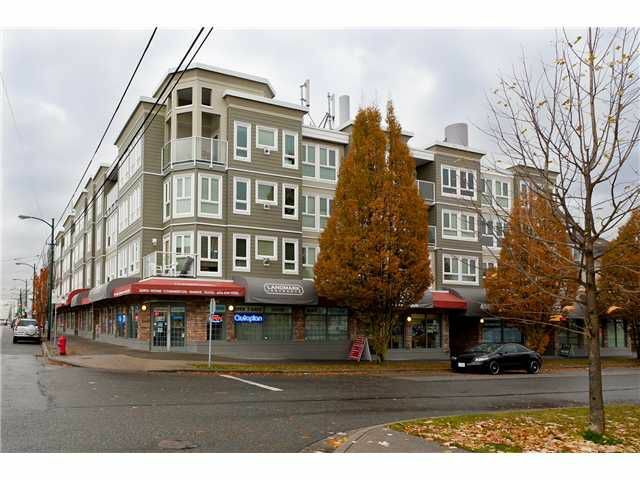 The location cannot be beat: close to all forms of shopping, amenities and Sky Train. This is a must see unit. Call today for your private viewing! Act Now.